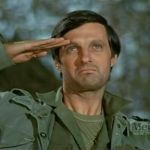 I thought I'd start a topic here to discuss M*A*S*H in HD and widescreen on Hulu. I wrote about this at my blog a few weeks ago. I don't subcribe to Hulu, so I haven't seen any of the newly remastered episodes. As I've said elsewhere, I'm happy about the new HD transfers. I don't like the episodes being cropped to widescreen. I agree. Film, TV, etc., should be left in the original aspect ratio. MASH was made prior to planning for material to be released in wide format, but even material made later, the idea that a director could frame shots to look good in two different aspect ratios at the same time is a pipe dream. If it looks good in a square frame, there will be a whole lot of nothing going on in the outsides of the frame if it's released wide-screen. I generally feel that movies and TV shows should be left in their original aspect ratio. However going from TV's original 4:3 (133:1) to 16:9 (1.78:1) isn't a major step. It doesn't add a lot to the sides. 16:9 isn't nearly as wide as 2.35:1 Cinamascope. In fact Cinamascope movies are still letter boxed on 16:9 TV's. I recently saw an episode of the Odd Couple on MeTV that was converted to 16:9. I quickly put on a DVD of the same episode in 4:3 and and both the 4:3 and the 16:9 versions had the same head and foot room. There was just a bit more to the left and right sides in 16:9. When shows were cropped for 4:3 not all of the film frame was used so that additional space on the sides is available to make 16:9 versions. I know it's not how these old shows originally looked but it eliminates having to see the black bars on the sides and I don't feel the extra width changes the look of the show much. I have the original 1983 mini series 'V' on DVD. It's cropped into 16:9 and doesn't take away from it's original look and feel at all. Going to 16:9 doesn't remove any of the image from the top or bottom, it adds extra image from the original film frame to the sides. Well I'm glad these shows are being remastered in HD. They've needed to be cleaned up a bit. The only time I've ever experienced seeing additional footage added to the sides of something in a widescreen 16:9 format are Muppet movies . . . other than that, my experiences is that 16:9 crops the top and bottom of the frame, so you end up losing the top of someone's head (especially jarring for exceptionally tall actors like Brad Garrett or James Cromwell), or other things, which is why back in the days when you were given an option, I always opted for "fullscreen" editions of movies on DVD instead of "widescreen," because I don't like to lose parts of the picture. But even so, why do we want to see what people are doing in the background off to the sides when we're supposed to be focused on the action in the foreground in the center of the frame? It doesn't make sense. There's nothing special about 16:9. Even though my camera films in 16:9, I still frame and edit my footage in 4:3 - as long as the height of the aspect ratio is 1080 pixels or higher, it's HD, even if the size is 1440x1080 instead of 1920x1080. But, I digress. There's a discussion going on on a M*A*S*H Facebook I belong to that, apparently, episodes on Hulu are actually including additional footage that isn't seen on TV or even on DVD - and episodes on DVD are (supposedly) uncut. Can anybody who has Hulu and has been watching the show on Hulu confirm this? FYI. All episodes of MASH are now available on iTunes in HD 16:9 ratio with all original footage cut for commercials now restored. Unfortunately theres still the silly laugh tracks but after all, thats the way it was originally shown..
Having the show reformatted into wide aspect was something that had been seen as a major step in getting the show added to more networks/stations. Many attempts were made to get 20th to do it but it took Disney to see the benefit of doing it for their Hulu endeavor and beyond. Heres hoping it will attract a whole new segment of the TV watching world who are more conditioned to todays TV formats than those of yesteryear. MASH on MeTV has an odd aspect ratio. It's slightly wider than 4:3 however it's been cropped all around. The top and bottom is cropped yet it's not 16:9. 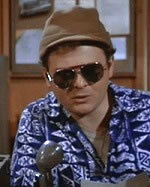 Since my previous post above MeTV is now broadcasting the 16:9 versions of MASH. There is only a small bit that's cropped from the bottom of the frames and the sides are wider. What I really like is how much sharper they look and the color is more saturated. I've never seen MASH look this good.